The answer to the above question is coming soon. 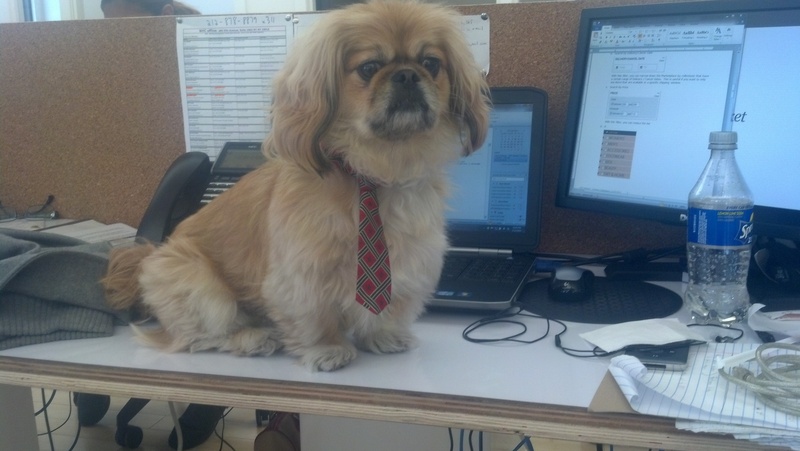 In the meantime, here is a picture of Mr. Ming sitting on my desk wearing a tie. Should be a good enough reason for the time being.